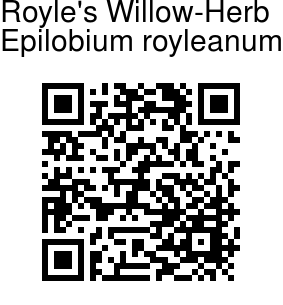 Royle's Willow-Herb is a perennial, erect or ascending herb. Stems are 10-60 cm tall, well-branched or simple, hairy and usually glandular velvet-hairy throughout, lacking raised decurrent lines. Leaf-stalks are 2-7 mm. Stem-leaves are narrowly ovate to lanceolate, sometimes elliptic or oblong-lanceolate, 1.5-5.5 cm long, 0.5-2.5 cm wide, hairless with faintly hairy margin and midvein, base narrow to rounded, margin densely toothed with 10-24 teeth per side, tip pointed to long-pointed. Inflorescence and flowers erect. Sepals are 3.8-6 mm long. Petals are pink to rose-purple, 5-7.2 mm. Stigma is round to broadly club-shaped, entire. Capsules are 3.5-7 cm, strigillose, glandular. Flower-stalks 0.4-1 cm long. Seeds are light brown, 0.9-1.2 mm, papillose, with short chalazal collar; coma white, detaching easily. 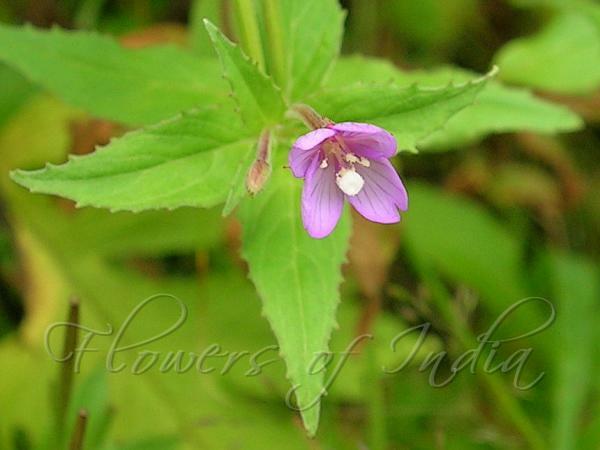 Royle's Willow-Herb is found in the Himalayas, from Afghanistan to Bhutan, at altitudes of 1400-3300 m. Flowering: July-September. Identification credit: Gurcharan Singh, J.M. Garg Photographed in Valley of Flowers, Uttarakhand & Gulmarg, Kashmir.